I’ve grown up as a full blown chlorinated pool swimmer with lifelong search for the perfect fitting goggles. I swear, I must have tried like 50 different types and always found them inadequate, either they leaked or the suction was too much on the eyes until I found the holy grail, Swedish goggles. 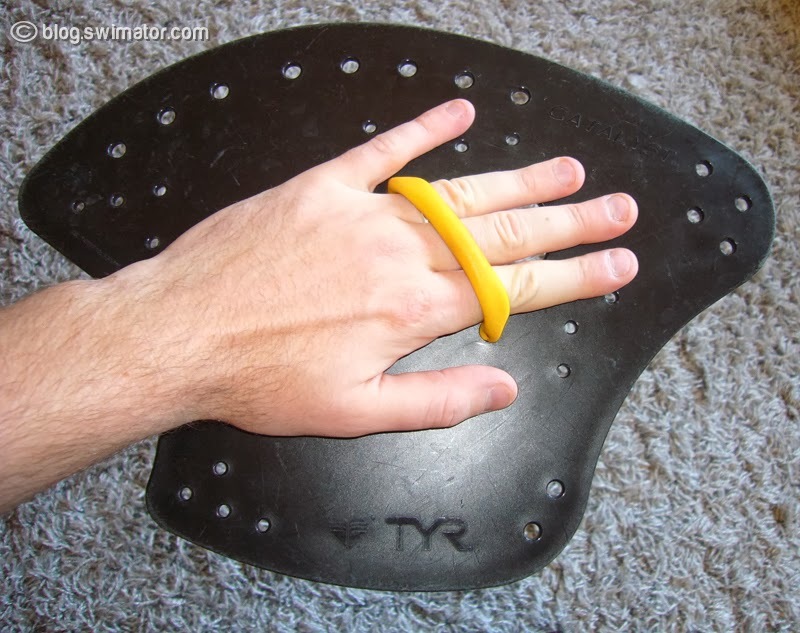 Ever since then, for the last 20 years, I’ve been an advocate for these tiny egg shell like contraptions, even in the outdoors during my open water swimming sessions. They are the perfect invention, simple, affordable and they work. However, there is one problem, I need glasses to see well. In the pool it has worked perfectly fine, but outside in the wild it can get a bit tough without a 20/20 vision. 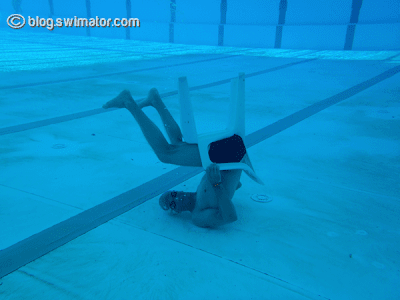 And this brings me to my new gadget, the Aquaviz mask with prescription. This is awesome, I can finally see the beautiful scenery around me when I swim in the Finnish lakes and seas. That was my immediate reaction when I first put on my new prescription goggles from Aquaviz. I no longer need to consider wearing contact lenses and do not have to expose my eyes to potential bacterial infection from the sometimes quite murky waters. I know this sounds like a really corny advertising text, but it is totally true. Let me tell you a bit about this new goggle gadget of mine. What makes the Aquaviz mask so special? As I mentioned earlier, I am an avid supporter of the minimalist Swedish goggle design, so you can imagine that when I first put on my new Aquaviz mask with its scuba diving mask contour, I had a quite a strange feeling. It felt like I had an alpine ski mask strapped to my face since the goggle profile is so much larger than the one of Swedish goggles. After a few swims it still feels a bit awkward at the start, but shortly into the swim, I don’t even notice it any more. 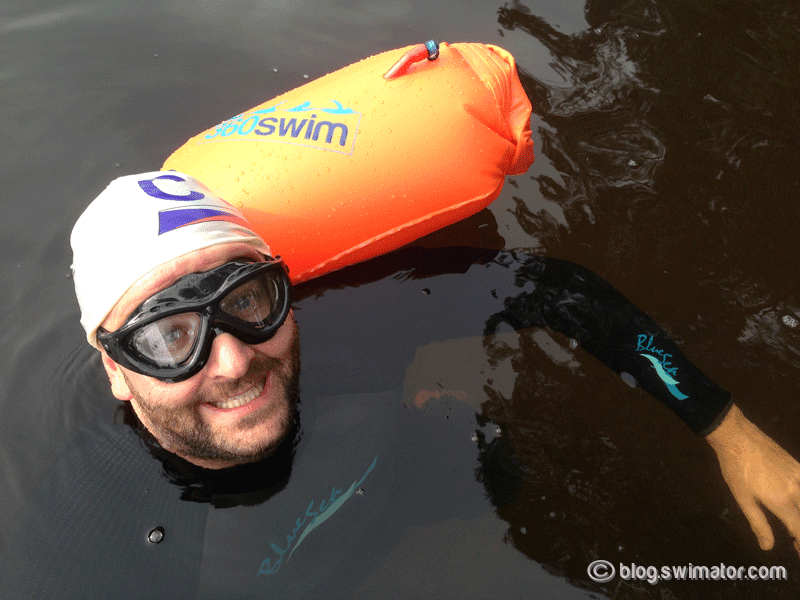 Different types of swim masks are now widely popular among open water swimmers and triathletes, so if you are used to a mask already you probably won’t feel any different. Even if you do have doubts about masks like me, don’t worry, after a while you get used to it and the ability to see clearly just trumps it all anyway :). As you probably already know, selecting the appropriate goggles/mask for your swimming life is not always easy, but Aquaviz makes the choice quite simple. There are varieties of color types available. Mine is a black prototype, but I’d have to recommend you stick with a clear mask type rather than a black one. 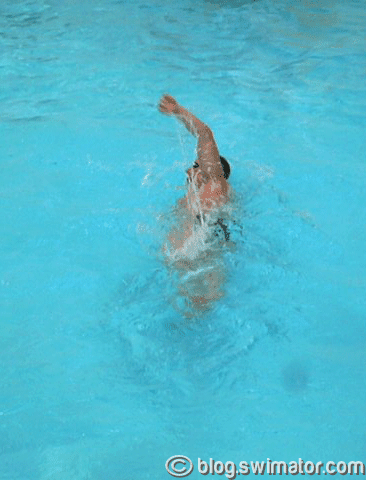 With a non-seethrough sides your field of vision to the sides, top and bottom is quite limited and when you for example swim on your back, you will really have to tilt your head to your chest to see who swims in your draft wake. With a transparent material, it is much easier to see around you. How about lenses fogging up? 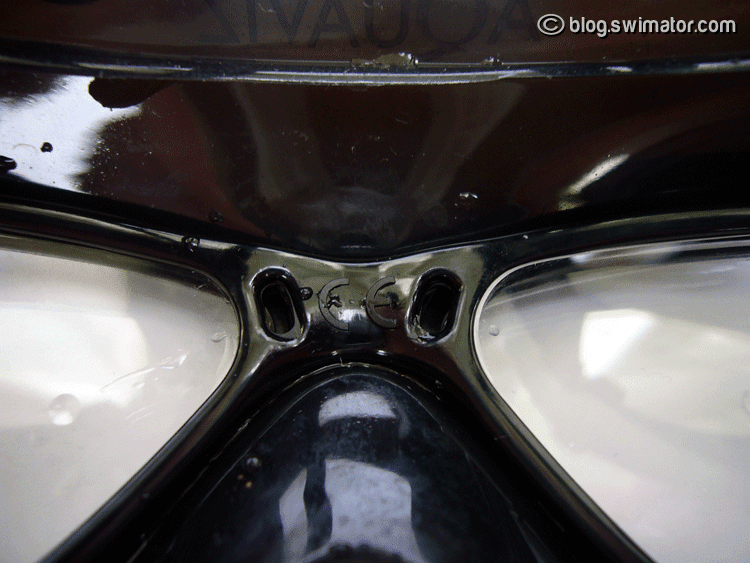 Well, as with any goggle type there is always a risk of goggles being fogged up inside, however, the newest Aquaviz masks have some sort of a thin layer added to the mask inner glass which keeps the fogging to minimum. This anti-fog layer should not be rubbed away, so you need to be very careful about touching the inside glass of your mask. I made a test and rubbed the anti-fog layer off (with very hard rubbing I might add), but the goggles still stay fairly fog free. Even on the worst day, I only get it fogged up around the edges, but not in the middle. You can always ask the guys at Aquaviz to send you a fog free wax that they send with their older mask versions. Is Aquaviz only for swimming? To my amazement, the prescription is much more versatile than that of regular swimming masks. 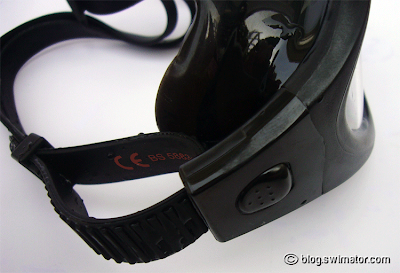 The inner prescription piece does not have to be used only in a swimming mask, but also during your scuba diving and it can even be fitted inside a ski mask. 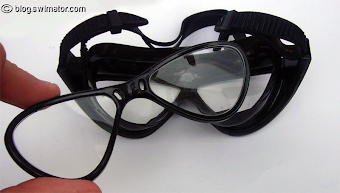 The provides both scuba and ski masks into which you can just simply snap your prescription lenses and you are ready to embark on an unbelievable discovery of the tranquil depths of our earth’s waters or have an exactly the same experience as you'd with your GoPro camera whizzing down the piste. 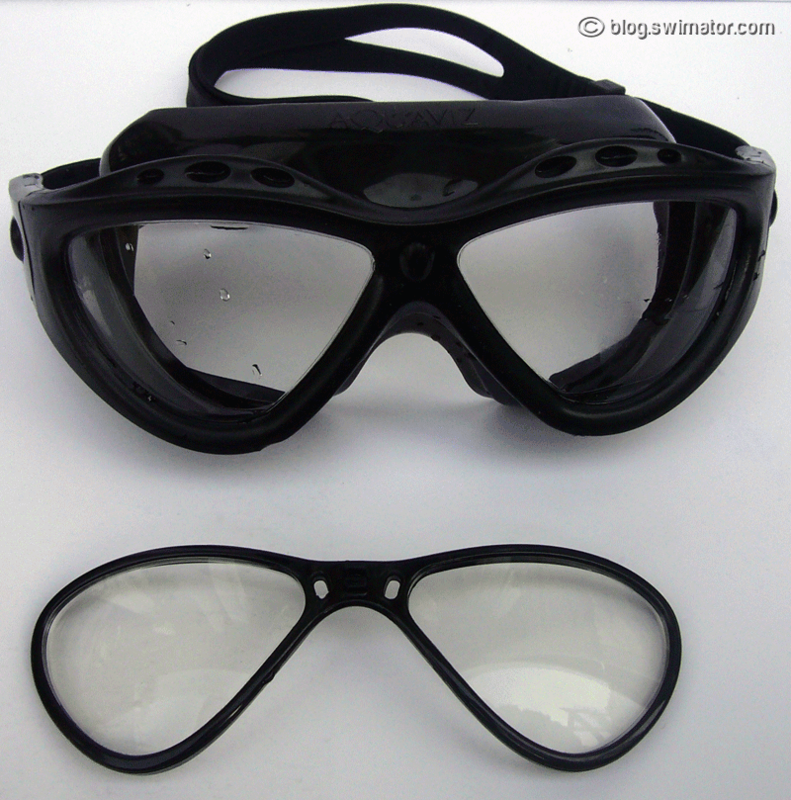 I am an avid scuba diver, skier as well as a swimmer, so it is definitely a plus a huge money saver to not have to purchase specially made prescription masks for each of the sports that I love to do every year. 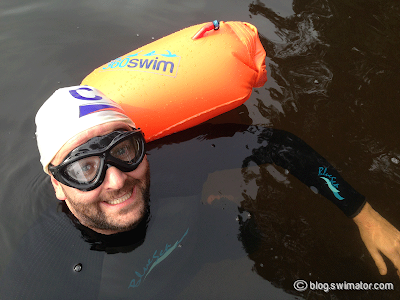 I love simple as you can see from my devotion to Swedish goggles and Aquaviz IS simple :). How does Aquaviz know my prescription? At the order time, you will have to fill out a very simple form which will have information from your optometrist, so go get your eyes checked or dust off that old prescription from your last visit. At the least, you will need your dioptre measurements for both eyes and your pupil distance number. There is also a possibility to get bifocal or varifocal lenses, so basically the inner lenses of the mask are just like regular glasses which makes it also much more useful. 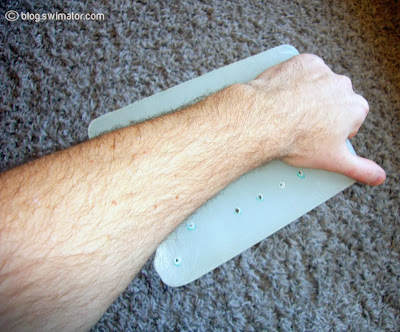 There you have it, my new Aquaviz. I'd just summarize it like this: simple, versatile and effective. Just a few weekends ago, I went for a 4km swim around Seurasaari island in Helsinki. I have never done it before, so did not know what to expect, however, I was definitely glad I brought my new mask. Besides having an enjoyable swim, which was much warmer this time of the year here in Finland than expected, I was just amazed how splendid the surroundings were. So thank you Aquaviz for making me enjoy swimming in a fully new stunning dimension. I definitely now "see the world the way it should be" :). 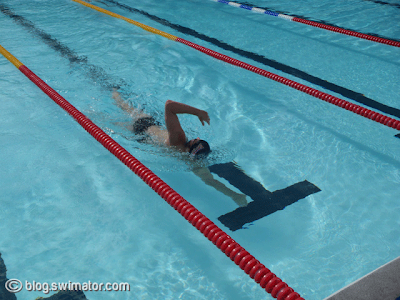 Even though this blog is mainly about swimming, how to do it better, more effectively and efficiently. 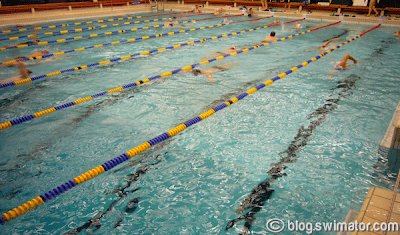 Some readers have their own pools where they practice they strokes from wall to wall or vertical kicks in the deep end. If you fall into this category, Adam from Country Leisure pools is here to give you a few tips on mobile apps which can make your life of the pool maintenance easier, so you can spend less time worrying about your pool and more time doing what you like, swimming :). Swimming pools are a fun part of owning a home, enjoying the summer sun, but most importantly very convenient way to improve ones swimming potential. When you own a pool, it is useful to get a few smartphone or tablet apps to help improve the cleanliness, care and management of the pool, otherwise you are going to ever regret getting one as you'll spend more time and money cleaning it. Although the apps are a useful tool for pool owners to download, remember that you do not want to take the phone into the pool with you when you use the apps or it might just drown, unless you have a good waterproof case protection with you. 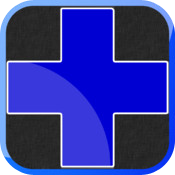 How’s My Water is an iPhone App that allows pool owners to accurately determine the health and balance of pool water. Since the water can become contaminated or require adjustments when it is filled, the app is a useful tool to make appropriate changes. According to PoolCenter.com, the app uses the iPhone camera to take pictures of the test strips after placing it in the water. The strips are evaluated for color and accurate treatment advice is provided to pool owners for a custom treatment result. The data is saved for future evaluation and comparison after the next water test. Although the app costs $5.99, it is a useful tool for any pool owner. It helps owners determine the safety of water and make appropriate changes to keep the water as fresh as possible. Swim University is among the top apps for pool owners because it provides a wide range of useful features. The app is available for free on iPhones and Android phones, so it provides many pool owners with the opportunity to find information that is related to pool care and maintenance. According to PoolSupplyWorld.com, the app provides how-to videos, guides for buying pool-related supplies and blogs that help with specific needs. The app is organized to help with specific categories, such as a spa or a pool, and offers a wealth of information related to the care of a household pool. Although the app provides several tools and useful elements, it does not have a high cost. 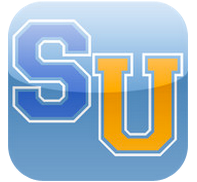 In fact, Swim University is a free app that is available to every pool owner with a smartphone. 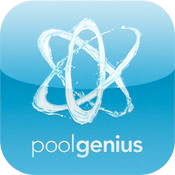 Pool Genius is a useful app that was designed around new pool owners who might have several questions and concerns regarding the maintenance and management of a household pool. According to PoolSupplyWorld.com, the app can help pool owners weigh the pros and cons of different filtration systems and options for pool maintenance. Beyond the basic tools and information, the app is made with simplicity in mind. Pool owners will not need to work around complicated systems to find information that is necessary to maintain or work on a pool. Furthermore, the user-friendly app is aesthetically pleasing for a better experience while using the application. Although it costs $0.99, the app is useful and can help new and experienced pool owners. Adjusting the chemicals in a pool is not always easy, especially for new pool owners. With Pool Doctor, it is easier to make appropriate adjustments and maintain the pool through changes that are suggested. According to PoolCenter.com, the app will use three test results to determine the next step in adjusting the chemical levels. After the test results are entered, the app provides doctor’s orders for adjustments. By following the suggestions of the app, the pool will have proper chemical balances. Since the app is useful for saltwater and chlorine pools, it is possible to find the right results with any type of pool. The app works on iPhones and Android phones, so it is useful to many pool owners. It will cost $1.99 and email tech support is provided to pool owners. Owning a pool requires the right maintenance measures. Although it can seem complicated, pool apps are available to help owners make decisions, find information and make adjustments to chemical levels. It is possible to enjoy maintaining your pool, with a little help and information. Note from Swimator Blog: There you have it, just a few simple apps to keep your pool in tip top shape. Don't let me stop you there though. With the mobile era exploding, I am sure that if none of the above apps fit your needs, with a little bit of searching through the miscellaneous app stores, you will find the one. Remember, pool maintenance should be simple and easy, so you can enjoy the benefits of having your own pool and perhaps take advantage of private in house swim lesson offers such as this one. Alternatively, if you are more of a self-taught enthusiast, you can check out this swimming tips app to get your swim technique in order. This is a guest post by Adam Ray, an Oklahoma City based jazz musician, producer, and blogger. In the morning, you’ll find him near a French press and a content marketing blog. On the weekends, you’ll likely find him wielding his tenor saxophone on stage at a jazz club. Ray enjoys swimming pools and spas, and he works with Country Leisure, in Oklahoma City.